Broadcasting School: What Is It, Who Should Attend, And Why I'm Glad I Went! Today is a very special Friday- it's Graduation Day for me! My class at broadcasting school graduates from our program today. In the weeks leading up to today, I started realizing that although I've frequently mentioned being in broadcasting school over the past year, and I talked about my goals for enrolling in the program last year while I was still a senior in college (in this blog post), but I never actually talked that much about what broadcasting school was while I was doing it! It was a lot of brief mentions, usually in my Midweek Ramblings posts, usually along the lines of "Oh this week in school we're starting video editing classes and I'm so busy with projects and my internship and my job and blogging and life, etc etc." Which probably wasn't that interesting for y'all to read! 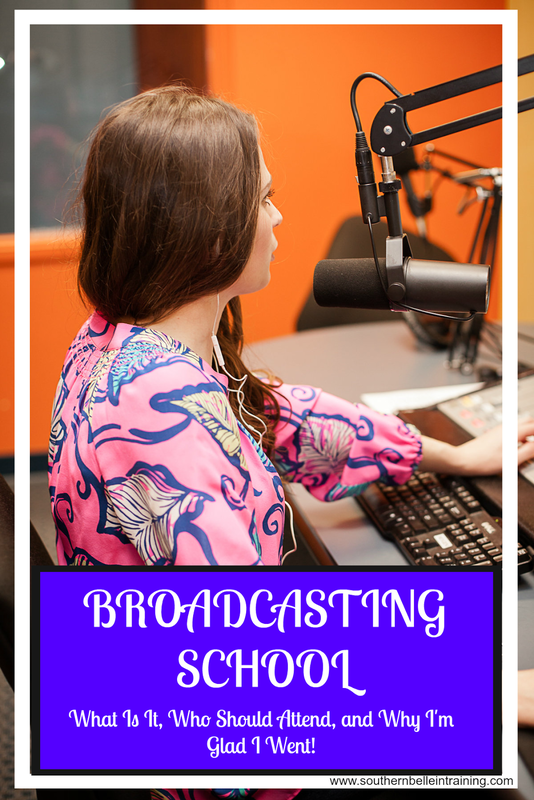 So today, in honor of my graduation, I'm sharing LOTS on info about broadcasting school! I know that a lot of you aren't in the broadcasting field but I hope that you might still find this interesting. I know that I do enjoy learning about other career paths outstide my field. A lot of you have been DMing me and emailing asking questions about my new radio job, so this post seemed like an appropriate kick-off to the radio career blog post series that I'm hoping to launch next month. And for anyone who might be considering or pursuing a career in broadcasting or communications, then this post is definitely for you! Let's get down to it- what IS broadcasting school? - Broadcasting school is a type of specialized technical school, designed for those that are pursing a career in broadcast media. The early days of broadcasting schools prepared students solely for careers in radio, but as time went on and the field of broadcasting evolved, these programs are now tailored to all sorts of jobs within the field. My school specifically focused on three things: radio, video editing and production, and television news. Our campus had a radio studio, television studio, and another audio studio dedicated to podcasting all on campus, as well as a computer lab classroom for editing. Other broadcasting school programs might also have heavy emphasis in entertainment television, digital work for broadcasting companies, and sales/promotions. Broadcasting school is not a traditional university or college. Since it's a technical school, it's more similar to community college than a four year school. A major difference education-wise between this and undergrad is that broadcasting school is all about hands-on learning which prepares you for this field. All of your homework and assessments are done in the form of media projects and time in the studios practicing what you learn in class. The only paper/exam/anything written that I ever did was the final exam! Another difference between this and college is there are no dorms, or student organizations. Students themselves are all ages, ethnicities, and of all economic backgrounds, so while small, it's a more diverse group of people than a lot of undergrad programs. I entered broadcasting school directly after completing my undergraduate degree in journalism, and while most of the students in my class specifically also had prior college experience or degrees, my school did not require an undergraduate degree to attend. There were a couple people in my class who applied and attended directly after high school as well. How did you learn about broadcasting school? - I couldn't miss learning about it - literally! No really... if it wasn't for a GIANT billboard off one of the interstates in Charlotte advertising my school I never would have known about it and toured it in my senior year of college! 😉 The billboard was positioned in a spot where I would pass it a few times a year when I would leave the city to visit friends at my former university... and it always left me thinking after I'd drive past it. Senior year I finally mentioned it to my parents, and they encouraged me to set up a tour, since I was pretty serious about wanting to get into radio broadcasting and had a radio internship for much of undergrad! Which school did you attend and why that one? - I attended the Charlotte location of The Connecticut School of Broadcasting (CSB). There are currently 12 CSB campuses across the country- so if you're interested in this career path there might be a campus by you! The length of the program actually varies at each CSB campus. I think Charlotte has the longest program out of all the schools, with 8 months of classes, and graduation at the 10 month mark. Charlotte is actually home to another well known broadcasting school as well. I looked into that one and CSB and felt a better connection with CSB, and really fell in love with the school during my tour. During my application process and enrollment meeting it just felt right. Similar process to applying for college! You want the broadcasting school that's right for you. Is broadcasting school affordable? - As compared to a four year university- extremely! But looking at it alone... it definitely is an investment. As I mentioned, there are two broadcasting schools in Charlotte, and I researched both of them and ended up selecting The Connecticut School of Broadcasting for a few reasons, but I will note that it was slightly cheaper than its competitor. My parents helped me pay for college (for which I am very grateful for! ), so while they supported me in attending broadcasting school, it was an investment that I had to make completely on my own. Unlike traditional universities, CSB doesn't take federal aid, so my options to finance my tuition were to take out a high-interest private loan, or to work hard and pay for it myself and make on-time payments loan-free. I opted for option number two, and so far so good! As many of you know, I worked in retail last year during broadcasting school, and also continued to babysit for some families that I worked for in college. My monthly tuition payments are pretty large and they will continue through next spring. But after that I will be DEBT FREE from broadcasting school, and can say I paid for it myself loan free! So if I can do that in less than two years... it isn't that bad in the scheme of things. How often are classes, and what are semesters like? - This totally depends on the broadcasting school that you choose! Even within the CSB family of schools, each campus runs differently. My school had twice weekly classes for the first half of the program (each class being four hours long), and then classes went down to once a week after the halfway mark. In addition to class time, students need to come to school and practice on the equipment for lab hours. And you need to complete an internship in your field of choice before graduation. My campus of CSB didn't follow traditional semesters. Classes began three different times during the year, and the process from orientation to graduation is always 10 months. I was apart of the July 2016 class, so I'm graduating right now (May)! Is broadcasting school necessary to work in media if you have an undergraduate degree? It might not be "necessary", but I am SO glad that I did it. Even though I was a journalism major in a communications program in college and also had a good radio internship in college, I wasn't exposed nearly enough to the actual mechanics of a radio station, since my university didn't have one on campus. As I wrote above, the whole format of classes at CSB at least was based around studio time, and getting to work on projects that related to radio, TV and video editing. These skills are all crucial to learn before applying to jobs in the business! If you attended a university that had a TV station and radio station on campus and you want to pursue broadcasting, then you might be all set to head right into the field. But more often then not people are in situations like I was, and in that case I would highly recommend looking into broadcasting school! It certainly paid off for me, and my radio classes REALLY prepared me for my day job (and as for my undergrad classes... most did not! Haha). 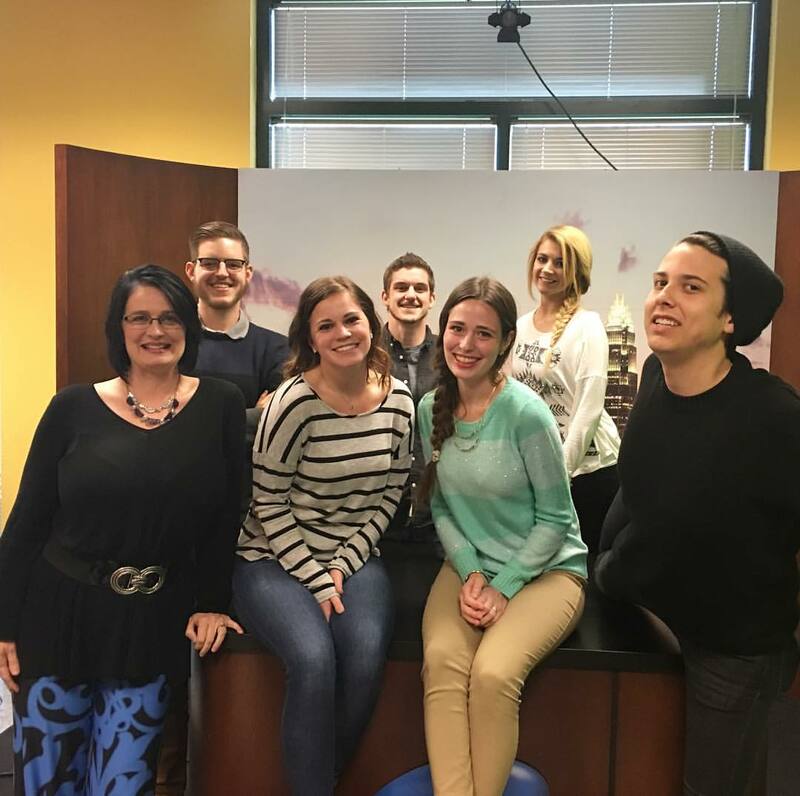 What is the social scene like at broadcasting school? It's different from undergrad as it's a day school, and students really are of all ages. I had classmates years younger than me, and also ones that were old enough to be my parents! My class specifically happened to be very tight knit (we were a small group of just eight), and I became very good friends with a few students, and was generally friendly with everyone in class. I also made some good friends in other classes, since I wanted to get to know the people in the school and make new friends in Charlotte, besides just the people I went to undergrad with! I still talk regularly with a lot of people from school now that I'm in Vermont. Socially broadcasting school really is what you make it. Some people went to CSB just to learn tricks of the trade, and others like me went not only to learn but also to make connections and friendships in the industry. A few broadcasting school classmates (and instructors!) 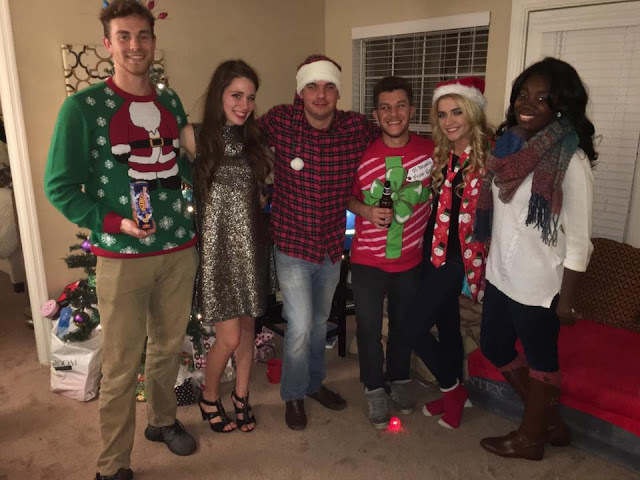 at the Christmas party my roommate and I had. My wonderful class on my last day! I had to miss the last week of classes with my trip to Italy/move preparations. What is your favorite memory from broadcasting school? I have two! One came very early in the program. I was in radio class way back last summer with my favorite instructor, and he was teaching on the ins and outs of how songs gain popularity and why some reach the top of the charts and others don't. I was so deep in his lecture and loving every minute... and suddenly had this moment like "WOW! This is the most interesting lecture of my life and someday soon this will be my career." Truly a surreal moment and sure enough less than a year later- I work in radio! My other favorite memory was telling everyone from school about getting hired in Vermont! I kept very quiet about my job interview process, so gathering my classmates, instructors, and our school directors together to share the good news after my interview trip was a moment I'll never forget. So... are you glad you went? ABSOLUTELY! Of course CSB, like any school, isn't perfect. The school has its issues, just like any other educational institution. I also have to say that it was hard for me to keep my motivation during the TV news unit! At this point I was already into my radio internship and so certain that was the career path I'd be taking, but hey, I persevered and actually made good friends with one of the TV instructors! Anyways, I learned so much at CSB, met some great friends and instructors (As well as some not so great people too- but hey! You get that anywhere.) and ultimately it served its purpose, it prepared me well for my career, and was the icing on the cake to my college education. 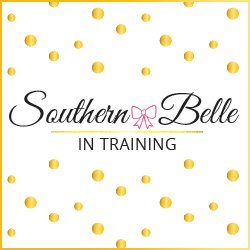 So congrats to the July class at CSB Charlotte- we did it!!! If you're considering a career in radio or TV and are more curious about my broadcasting school experience, don't hesitate to email me or reach out! Next month I am planning to start a radio based career blog post series here on the blog- stay tuned for more on that. Wow, thanks for sharing!!! I never thought about broadcasting school before, probably because I find it wear talking to a micrphone xD but congratulations on graduation!! Congrats on graduating girl! I'm graduating this year in a similar program and I'm also glad I did it! While you can learn a lot of things on your own, it definitely helps to have a degree to back you up, and the experiences you get while in school (working in the school radio station, internships, etc.) definitely help a lot! As someone who has never pursued anything broadcasting related I think this was SO interesting to read. You did a great job of outlining what made the program a great fit for you and why you loved it. Congratulations-it clearly paid off because you're at the beginning of your dream career! WOW!!! Well first off congratulations!! It must feel amazing to be working your dream job now. I also love the idea of broadcasting school. Part of me always wanted to work in that field and even into reporting. So this was amazing to read!! This is so cool! Congrats on graduating and scoring your job! You've accomplished so much! Hmm sounds like an option for me! Congrats on graduating. This is so cool! While I've heard of broadcasting school before, I never quite realized what was involved. Congrats on finishing up debt-free and getting a great job! This is so awesome! Congratulations!! This is so awesome! first, congrats! also loved learning more about broadcasting school! I never totally understood it before! Congrats again on graduating! This post was very interesting to read as I had no idea that broadcasting school even existed before you mentioned you were attending it last year! This post would be a great resource for anyone who's interested in the audio/visual media fields! Broadcasting school sounds so awesome and a great opportunity! congrats on graduating! Congrats on graduating! Broadcasting school sounds like a lot of fun! Loved learning more about this! Congratulations on graduating! Congrats dear! Every time you've mentioned broadcasting, I would have so many questions – thanks for answering them in this post!